Our BOAB featured and of the week is a New Jersey band called 'Architect The Destroyer'! Architect the Destroyer was first an idea made by Justin Genzo (singer/guitarist) at the beginning of 2017. After recording, mixing, producing and mastering 10 songs throughout 2017 Justin decided to release it properly, hence Architect the Destroyer was born. Those 10 songs became Architect's first LP "Tiny Thoughts." The album was written, recorded, mixed, produced and mastered by Justin himself at his home studio in New Jersey, he reached out to his good friend Thomas Louis to create that album art, and then made it available on all platforms (iTunes, Spotify etc). After promoting and shooting a music video for the song "Adventure" off the debut LP, Justin knew live shows would be the most important aspect, wanting to give the audience not just a show but an experience. So he recruited high school friend and drummer Jason Rubinstein. The two got together and quickly realized something special was happening and the chemistry between the two was obvious. After a month they recruited Mike Dzema, who went to college with Justin. Once Mike joined the duo the decision was obvious and the chemistry was somehow even stronger. 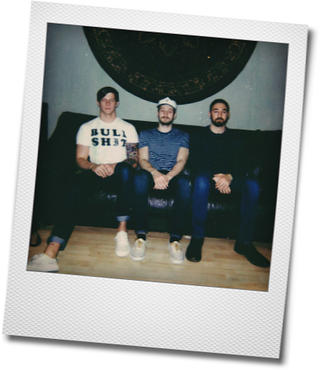 Now the trio does monthly live acoustic sessions via their Instagram and are gearing up for their first acoustic show and more shows this year. Architect the Destroyer is also starting to write their second LP so be sure to keep a lookout.